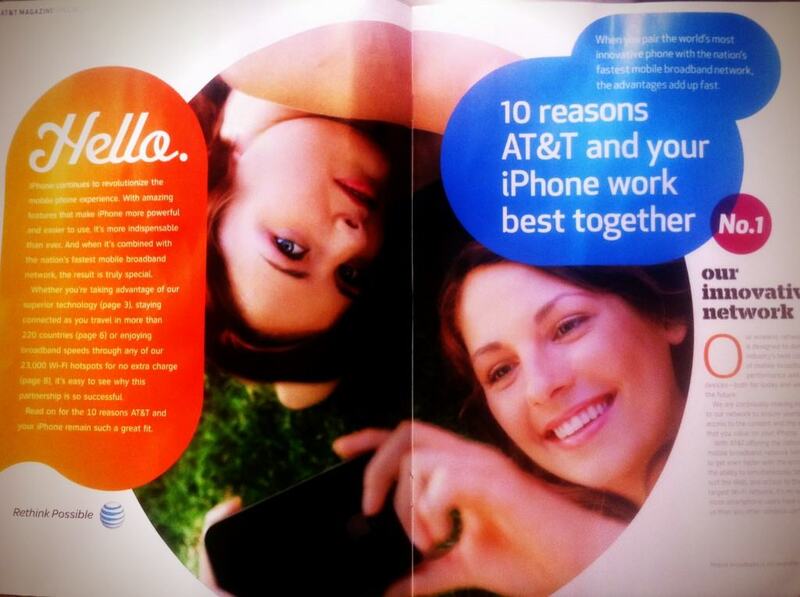 Fearing Verizon iPhone, AT&T Sends iPhone Users Magazine On Why AT&T is Best for iPhone - iPhone.MY - Daily News On Mac, iPhone, iPads, iPods and more! In what appears to be an effort to persuade users to not switch over to Verizon, AT&T is sending out marketing materials elaborating why their network is the perfect match for your beautiful iPhone.. Have the recent estimates that Verizon has snagged 10% of the US iPhone market-share after only a few months gotten AT&T a little bit worried that a lot of users will switch networks once the iPhone 5 comes out? Coupled with their recent gift of 10,000 free rollover minutes to customers, maybe AT&T is finally trying to put forth some legitimate efforts to satisfy their customers after years of complaints. I’ve been an AT&T subscriber since June 29th, 2007 (the day the first iPhone was released). 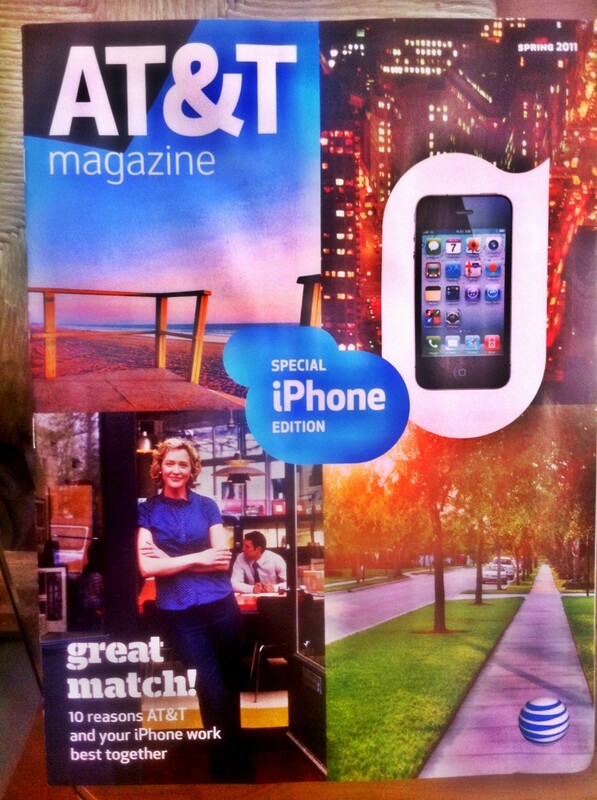 Never once has AT&T decided to send me their seasonal magazine title “AT&T Magazine.” Yet for some reason I was greeted by their 12-page mag when I received my mail today. #1: Their Innovative Network (you know, the one that drops my calls literally everyday). #3: Expansive Network (maybe it’ll be better once they merge with T-Mobile, but for now there are a lot of spots where I have no reception and my Verizon friends have full bars). #4: Talk & Surf (one of the few things that actually makes me want to stay with AT&T). #5: iPhone 4 (not sure how this is a reason seems how Verizon has it too). #6: Coverage in More Than 220 Countries (this was also mentioned under point number three, so it seemed a bit repetitive). #7: The Clear Wi-Fi Advantage (AT&T has 27,000 Wi-Fi hotspots that you can access for free). #10: Sustainable Solutions (AT&T is striving to minimize their environmental impact by recycling, using alternative fuel, and power saving). After reading through the magazine it felt like the only points that had any weight were #2, #4, and maybe #7. None of the other things can really pull me into wanting to stay with AT&T. So what do you guys think? Are you planning on switching from AT&T to Verizon in the future? Let us hear it in the comments. Will there be an iOS 4.4?